When the Montreal Bicycle Club was founded it's by-laws stated the type of uniforms and the distinctive badges the Club should use. 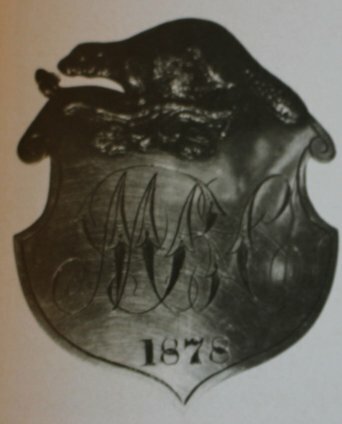 This logo was used in the minute book until the fall of 1885. However on 29 April, 1886 the minute book records that a new Club badge will be adopted. 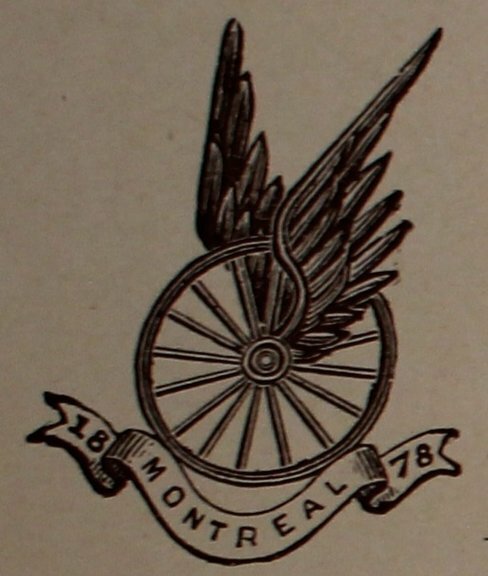 After that date Montreal Bicycle Club used a Winged Wheel as its symbol. Perhaps this symbol was inspired from the feeling of flight on a High Wheel Bicycle. A Winged Wheel was a part of many Bicycle Organizations logos from that era. The MAAA adopted different variations of the symbol for each of it's different sports which can be viewed online inside the 1894 CWA booklet, "Our City, Our Sports". The most famous modern version of it, the Detroit Red Wings symbol is a direct descendant of the Montreal Bicycle Club Winged Wheel.